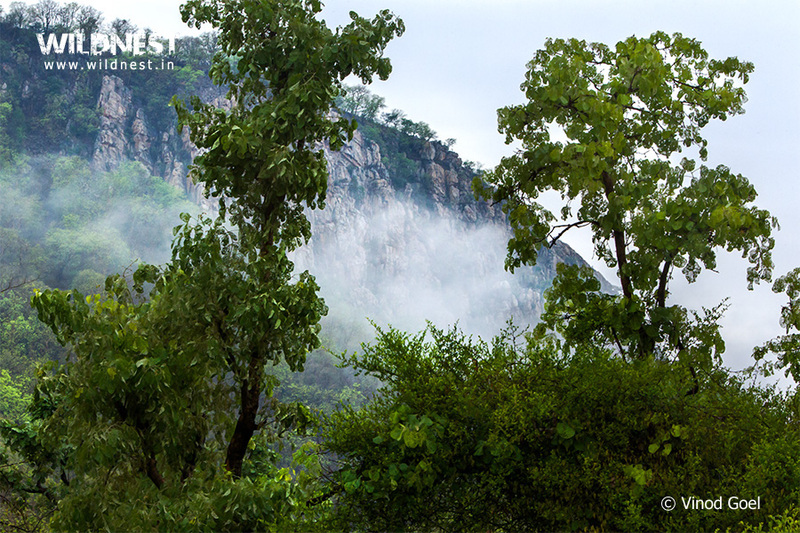 I have been visiting Sariska Tiger Reserve, closest jungle to Delhi for the last 15 years. My first visit was in the year 2000 when the number of tigers in the reserve was on decline and tourists use to feel fortunate after seeing only pugmarks of a tiger. 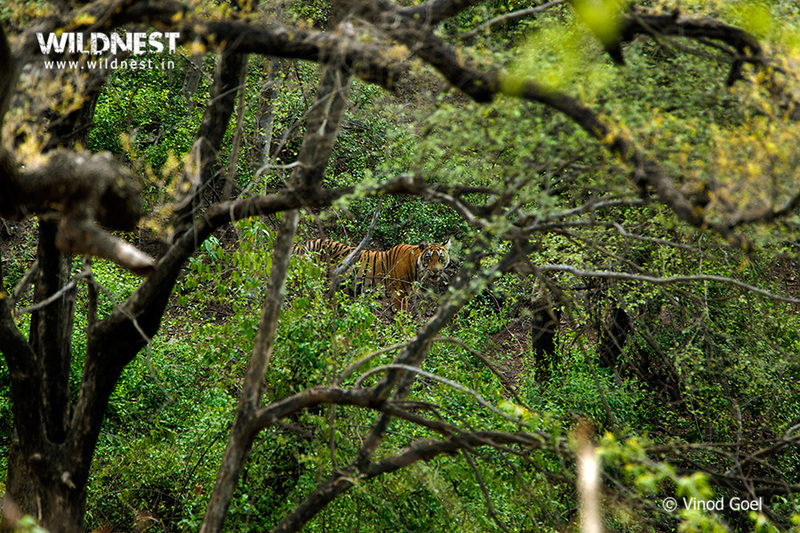 However, after trans-location of tigers in 2008 from Ranthambore in Rajasthan, their visibility increased. 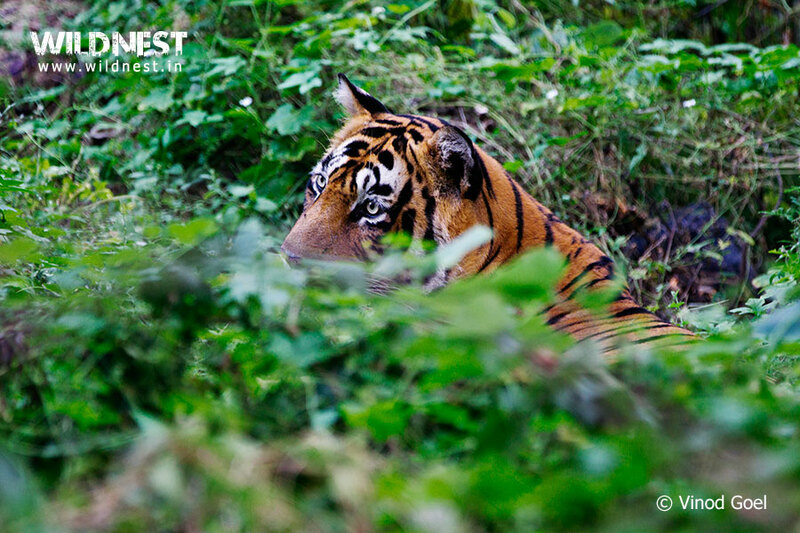 Now there are 13 tigers including few cubs in the reserve, which accounts for their regular sightings. I have visited this forest during various seasons such as onset of winters, winters, summers and in the beginning of monsoons i.e. when the park is on the verge of closing down for the rains. 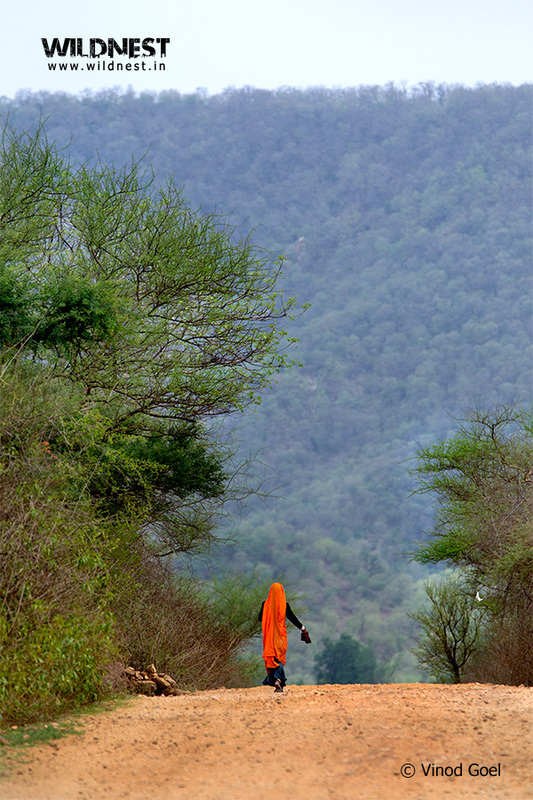 It is worth mentioning that Sariska and many other national parks in Northern and Central India close down for approx. three months for tourists from 1st July, on account of rains every year. 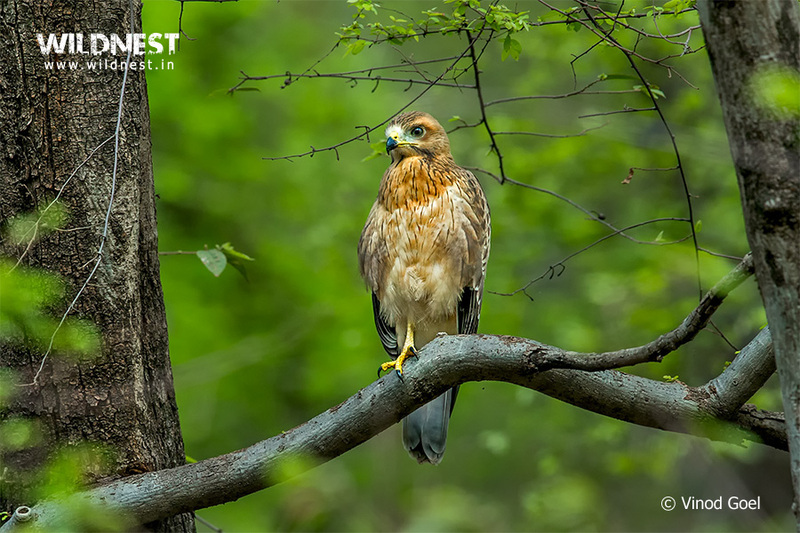 During my earlier trips of Bandhavgarh in June 2011 and Ranthambore in June 2013, and now recently in Sariska at the end of June 2015, I was lucky to capture some outstanding shots. 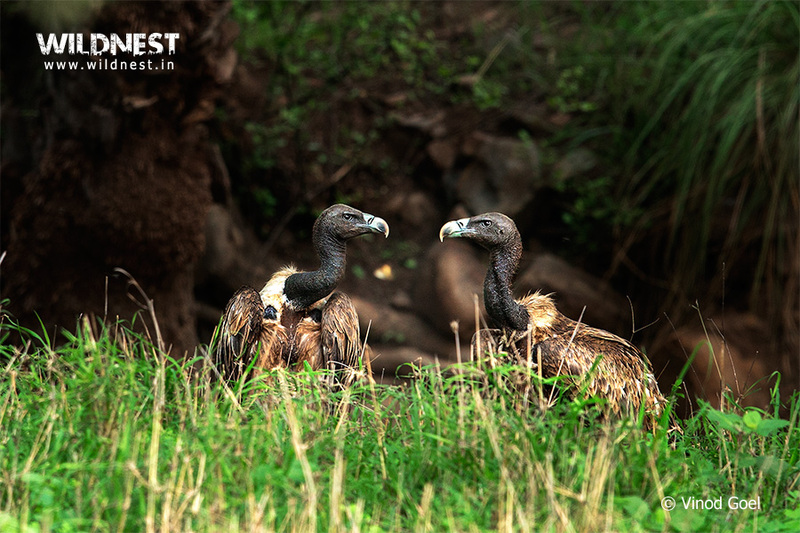 Although chances of seeing wildlife gets reduced as elixir of life, “water” is available easily inside the park at various places so it reduces the chances of animals coming to specific water bodies for quenching their thirst. However if you have any sightings after the rains, then it is worth remembering and worth capturing on camera. After having some good experiences during the previous years, I have now decided to spend a few days in the park every year before they close down for monsoons. 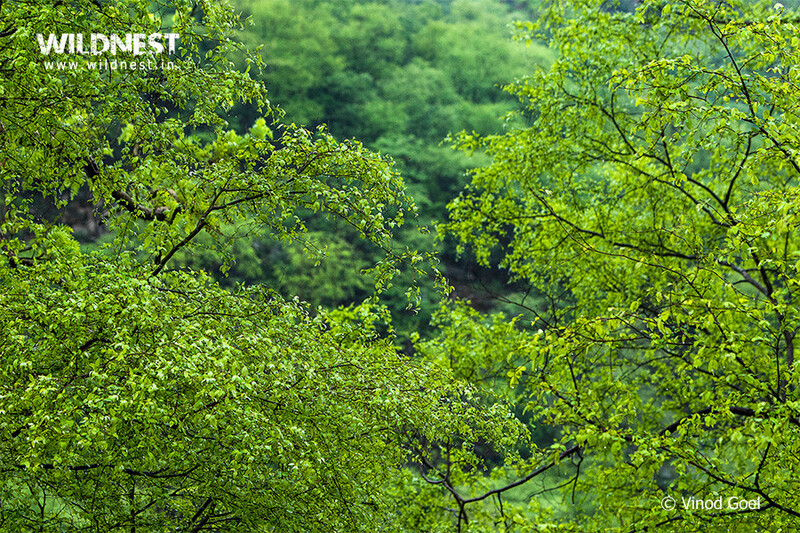 It is because the jungle becomes green because of pre -monsoon showers. Birds get all varieties of insects and herbivorous animals get fresh grass. They all have hopes of plentiful diet for the rest of the year. 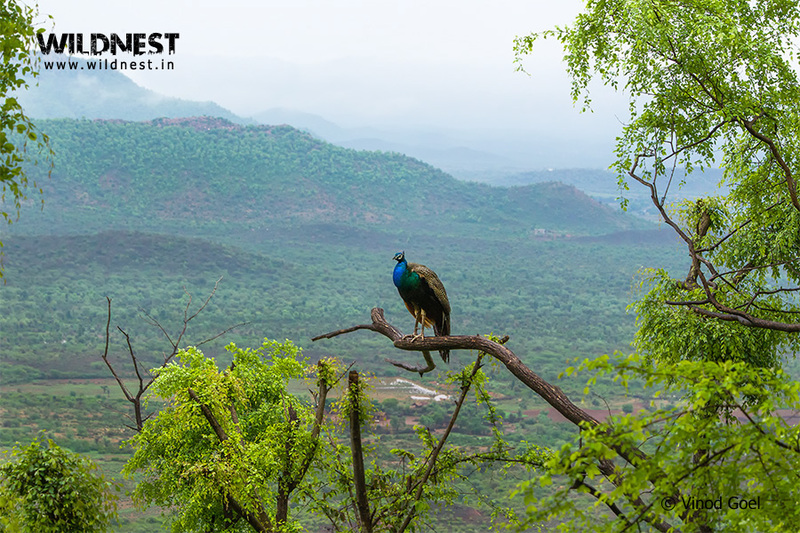 Sariska Tiger Reserve is also known for having the maximum number of peafowls in the world. 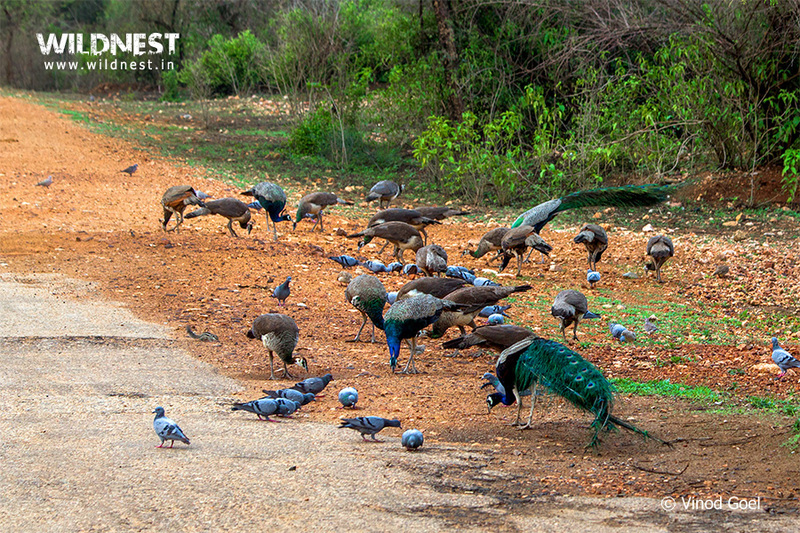 Various behaviors of peafowl such as dust bath, dance, courtship, preening, fight among themselves for mating and territorial rights are some magnificent sights seen during the monsoons. 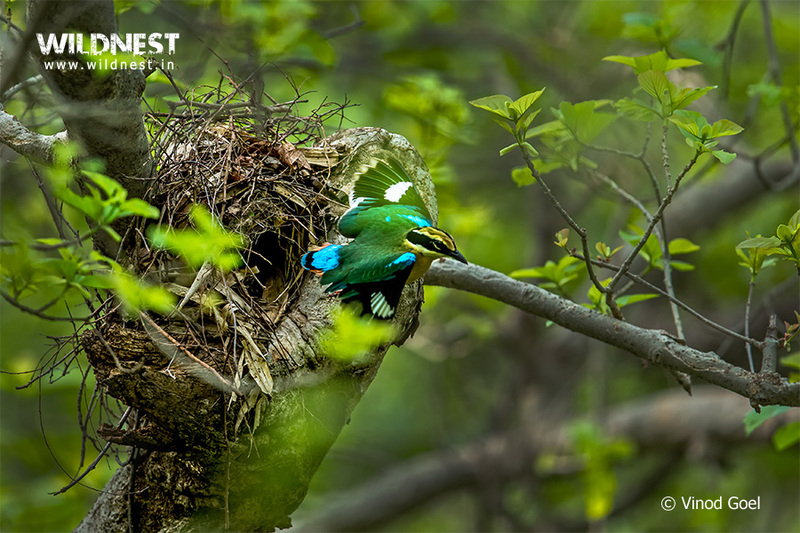 It is also a fact that certain birds do migrate locally for breeding to Central India or Northern India such as pied crested cuckoo, common hawk cuckoo, Indian pitta, Asian paradise flycatcher just before monsoons. 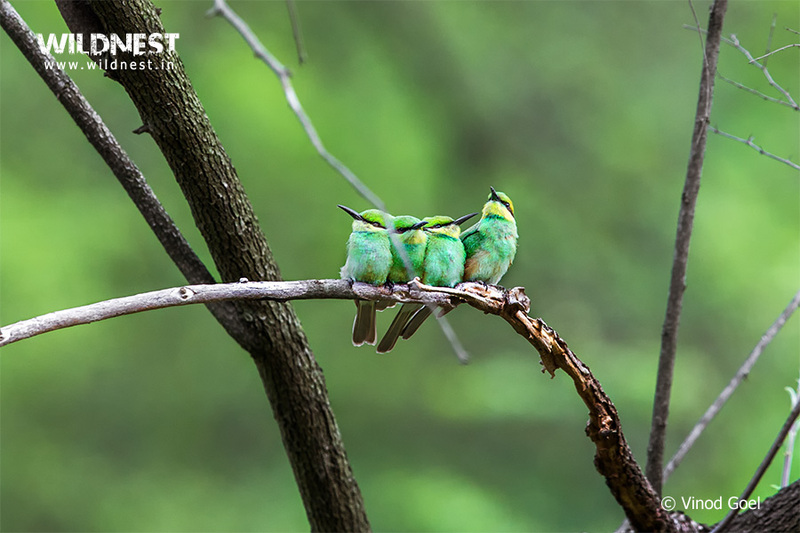 The chances of observing them in different moods in their natural habitat are also high. 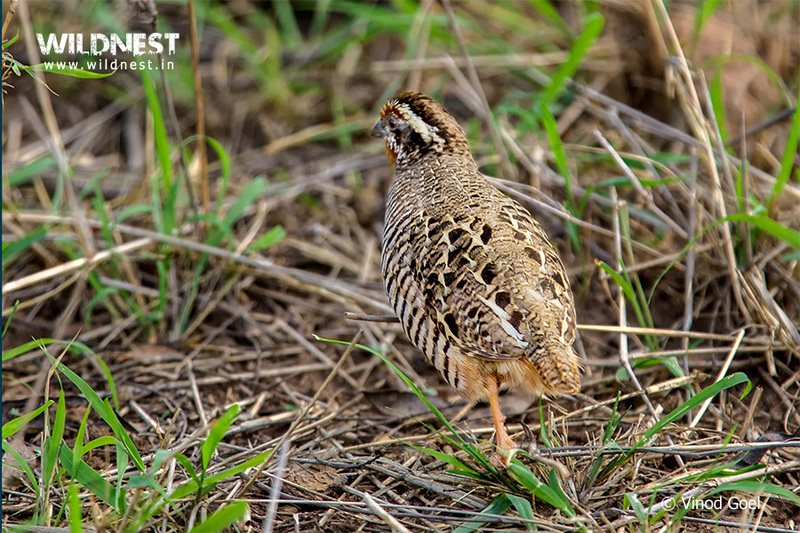 During my visit I was lucky to see birds such as pied crested cuckoo, black francolin, grey francolin, peafowls, common hawk cuckoo, green bee-eater, Indian pitta, golden oriole, yellow legged button quail etc. 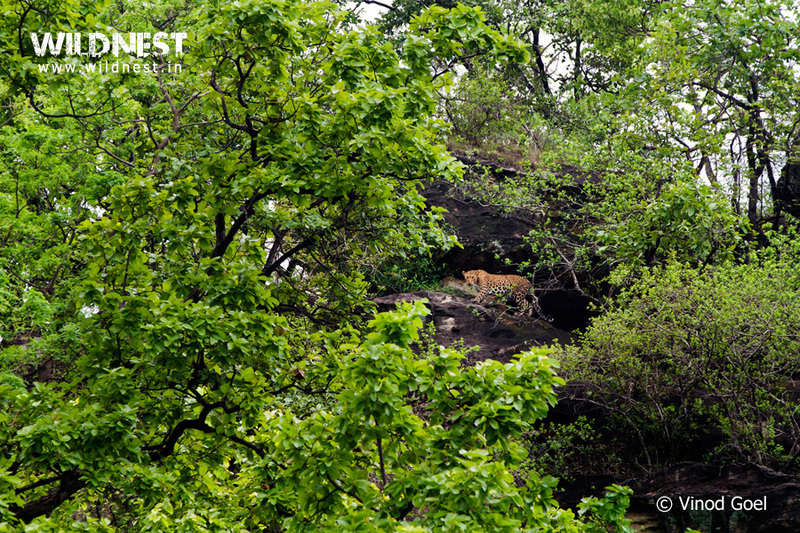 I was also fortunate to see a tigress ST -2 with its two cubs(of more than 15 months of age) on 29th June, apart from sambar deer, spotted deer, blue bull, wild boar and jackal. The park is also dotted with a large number of old monuments, temples and forts, which are worth exploring. They also get a fresh look after the rains. It is definitely one of the top destinations in my list of places to visit before monsoons. 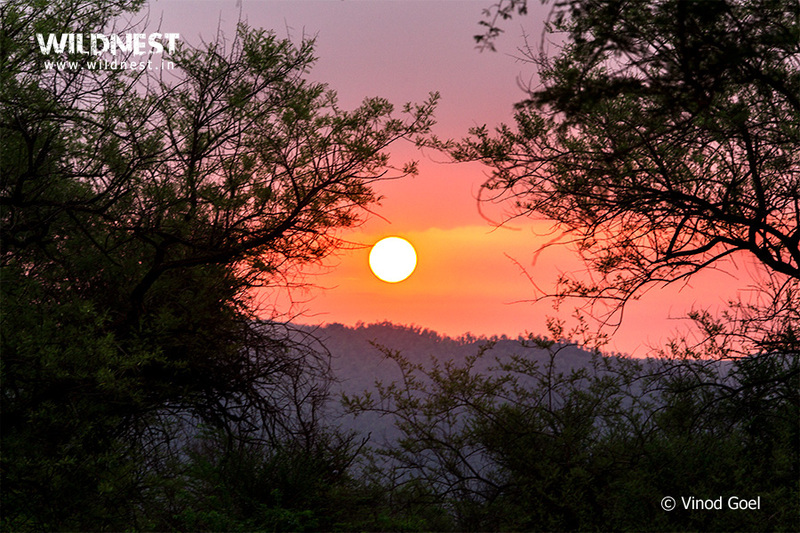 Click here to read about Sariska Tiger Reserve, How to reach Sariska and to plan a trip to Sariska.